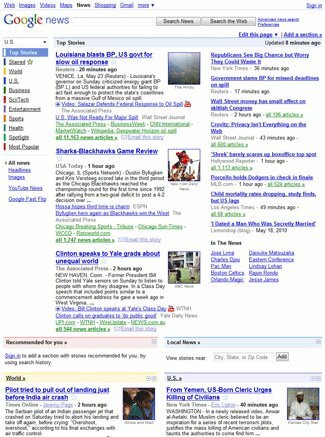 That’s the question a small business client asked after two consecutive online news releases ThePRDoc® published for his company earned Page 1 Google rankings the same day. Are your news releases getting top search engine rankings? Are they driving traffic to your Website and boosting Google, Yahoo! and Bing rankings with links from authority sites? Are you using other elements of online PR – articles, blogs, video and other social media channels – to build a powerful traffic-generating system for your business? If so, congratulations. You get it. If not, I’ll show you how to change that. If you are a small business owner, entrepreneur or a public relations professional serving the needs of small-to-medium-sized businesses, read on. If you want to learn why public relations should be part of the marketing plan for any type or size of business, this is for you. If you want to learn how small companies can use online PR on an even footing with the biggest of companies, you’ll find that here, too. Traditional public relations strategies and tactics are as valid as ever, but they’re just not enough anymore. Newspapers are shrinking and going out of business, broadcast revenues are declining, but online news, and with it online PR, is growing. More than 90 percent of journalists go online every day to research stories and find sources, so it just makes sense to help them find what they need online. That means knowing how to get your information ranked in search engine results and how to develop a steady flow of useful, relevant information that will keep drawing traffic to your websites is crucial. 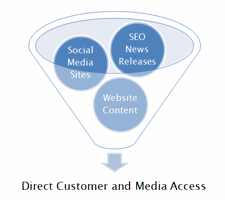 Online PR provides the means to reach target audiences directly, with or without participation of the news media. But it involves more than loading up news releases with links and posting them on the Web. A matrix of social media sites selected for your specific needs. You don’t have to be a PR professional to do online PR, although knowledgeable PR pros have an advantage. If you can write clearly you can learn to generate online content that gets found and gets action. In fact, as search engines continue to evolve, they place a premium on good writing over technical search engine optimization skills. Today, small businesses seldom mentioned in local papers are finding eager audiences online. Brick and mortar companies reach prospective customers and often build their brands bigger and faster online. For Web-based companies it’s an easy decision. Once you start getting attention online, the offline world takes notice – because print and broadcast journalists are looking online, too. Let ThePRDoc help you gain the skills and get the tools you need to make online PR work for you. This is your resource for insights from PR industry leaders and business owners who are writing the new rules of online public relations. Click here to learn more about ThePRDoc. Get famous! Small business public relations success comes fast with online PR. 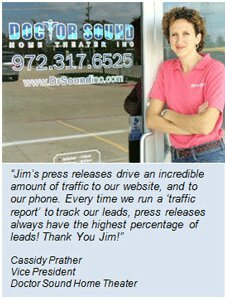 Learn press releases, SEO Websites, eNewsletters, blogs and social media the right way. Get found! Keyword research is fundamental to all online PR writing, from optimized press releases to Web page content that readers and search engines love. Don’t outsource online public relations work! The PR Doc can show you how to do build on your traditional public relations background to help your clients prosper on the Net. ThePRDoc offers public relations tools to help business owners and PR professionals do professional online PR faster and better. Get timely Online PR and small business marketing news from 30-year public relations and marketing pro Jim Bowman, ThePRDoc® in his newsletter, ONLINE PRescriptions.